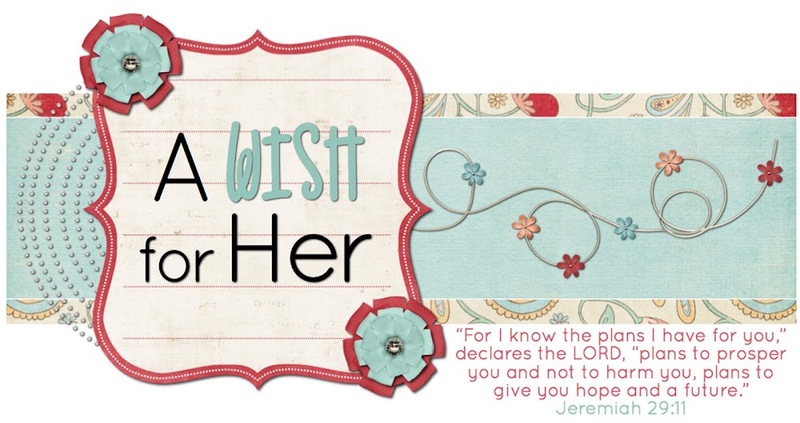 A Wish For Her: RACER WEEKEND! Went to Nashville this weekend for the OVC Basketball Tournament. 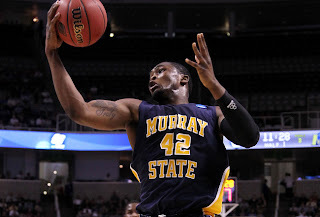 To cheer on Murray State where I went to college and graduated with a Physical Education and Health Degree K-12. I was very lucky to miss the storms. I drove to Evansville and met Monica that lived across the hall we lived on the top floor the 10th floor of Regents. We became friends and were friends all threw college. It took me 4 hours to drive to Evansville. I did not drive in any rain. How lucky is that? When I got to Evansville they were all talking about the storm coming. Monica kept looking on her phone about the weather and the map was coded all red. We listened on the Radio on the way to Nashville about the storm coming to Nashville. The entire time I had a piece about the storm that everything would be OK.
We just missed the tornado in her home town. Her neighbors house was damaged. Her road was closed off. My car was unharmed...that I left there for the weekend. God is Faithful. We arrived in Nashville - checked into our hotel - asked what the plan was for the Tornado - they said everyone will go to the stairwell. Angelle arrived our other great friend from college - Monica and Angelle got apartment together in college - I spent lots of time over at their apartment during our years at Murray. So we decided to take the shuttle to downtown and eat the tornado was not going to scare us off. So I had some peel and eat shrimp and sense we were at Margaritaville I had to try a pomegranate Margarita - it was pretty good. This was going on outside as we were inside - soaking up the tunes. It was hailing and raining outside. So we waited inside till it stoped raining. Then we caught the free city bus to the game. That was interesting. Once we got to the game they had us all go to the parking garage. It was about 3000 Racers fans. Everyone was very happy did not mind that we were standing in a parking garage. This is Angelle waiting for the line to move. Racer Fans waiting to go into the game. At the game we met up with our other great friends and my roommate Felicia - she is now attorney - she was always into the books - and it paid off. I am so proud of her!!! Me, Felicia, Daffney, Angelle and Monica. We have been to many games together - now we are all grown up. Racer won Friday night - so now they will play in the Championship on Saturday. After the game we went to the Cheesecake Factory and ate. This trip is all about basketball and eating..
Saturday morning we went and ate at a really neat place in Germantown Nashville - Monell's is an eatery housed in an old plantation house. The meals are served family style, so you get to make new friends while you eat. There is a never ending supply of Southern favorites such as fried chicken, pancakes, corn pudding, ham, bacon, sausage, eggs, Cinnamon rolls, cheese grits. It was all you can eat. I would love to take my Dad there to eat. This is us before we went into to eat. While you are inside eating you can have your car washed. Some of the guys that were at our table had there car washed while they were inside eating. This is Angelle and her husband Dwight they met at Murray. What a great couple. I can't wait to see them again. NASHVILLE (AP) - The 12th-ranked Murray State Racers (who are No. 9 in the ESPN/USA Today poll) gave some breathing room for the NCAA tournament to somebody. Just barely. 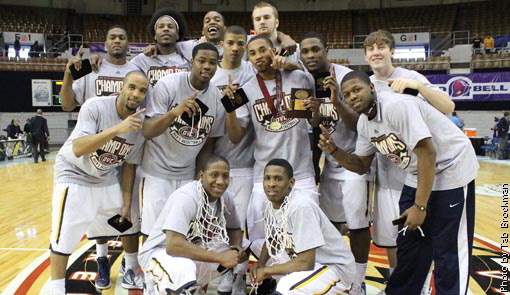 Jewuan Long drove the baseline for a layup with 4.4 seconds left, and Murray State rallied from seven points down in the final 5:28 to beat Tennessee State 54-52 for the Ohio Valley Conference tournament championship Saturday and the automatic NCAA tournament berth. It was a great weekend with great friends!!! Good Luck Racers in the NCAA.